Expect a totally tubular turnout when guests receive this Totally 80s Invitation! 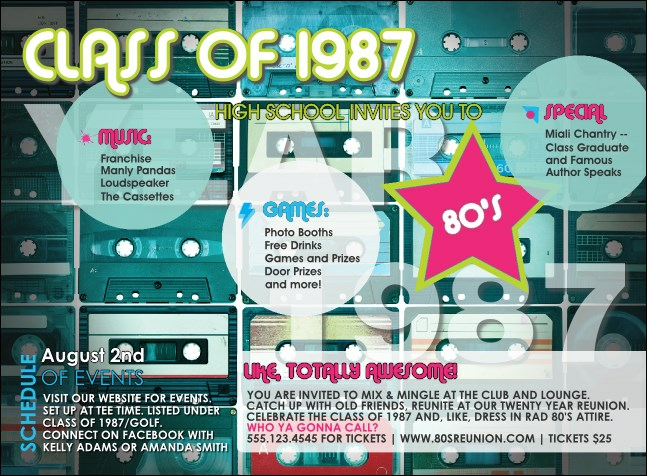 Take a retro ride back to the best decade, with a collage of mix tapes in the background and big, bold colors highlighting your event info. Class reunion? Adult prom? Throwback party? Whatever! Throw a rad party with the right invitation from TicketPrinting.com.